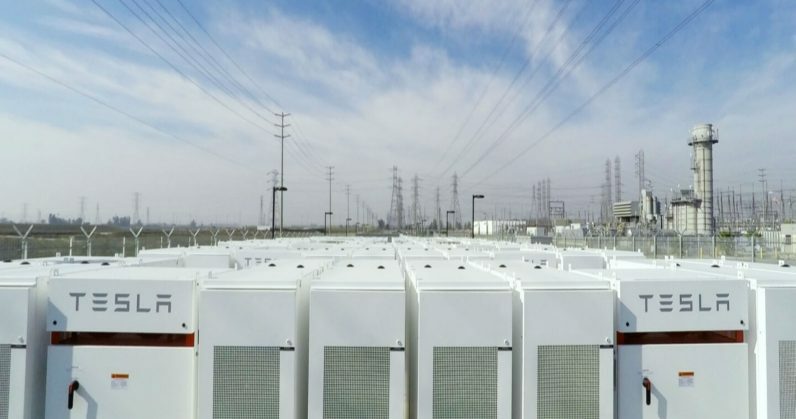 Tesla has teamed up with The Pacific Gas and Electric Company (PG&E), one of the largest electric energy companies in the United States, to produce a massive battery system with a capacity of upto 1.1 GWh. Electrek reported that the project proposed to begin in California would have a larger energy capacity than what Tesla has produced in any single project since the company was started in 2015. PG&E, which services nearly 16 million people in Northern and Central California, submitted four new energy storage projects to the California Public Utilities Commission (CPUC) for approval last week. The battery packs for this project will be provided by Tesla with an output capacity of 182.5 MW of power for 4 hours. This represents 730 MWh of energy capacity or over 3,000 Tesla Powerpack 2s. This capacity can be increased to 6 hours for a total of 1.1 GWh, if PG&E chooses to. For reference, the US Energy Information administration notes that in 2016 the average annual electricity consumption for a US residential utility customer was 10,766 kilowatthours (kWh). This means that the proposed project has the potential to completely power about 100 households for a complete year. If approved, the first projects in this team up is expected to go live by the end of 2019, with the other projects scheduled to come online by the end of 2020. It is interesting to note how Elon Musk seems to keep in line with his goals. He had initially announced in 2015 that ‘Tesla Energy’ could be used in gigawatt-hour scale projects in the future; to see this happen within three years is impressive indeed. In late 2017, Musk bet the local government in Australia that he would install a giant battery grid to curb blackouts in South Australia within 100 days, and managed to accomplish it ahead of schedule. While Tesla is best known for manufacturing electric cars, from the point of view of Australia to Puerto Rico, the company is redesigning the world’s power grids, and making renewable energy more affordable. Fast Company reported that in just three years, the company has installed enough infrastructure to store a total of a gigawatt-hour of energy, which has been crucial for the efficient use of renewable energy. In doing so, Tesla has been responsible for nearly half of the entire world’s amount of energy storage facilities last year. And the new development, which by itself is capable of providing 1.1 GWh of energy, will double the capacity of energy stored in Tesla facilities in one fell swoop. The cost of battery storage continues to drop throughout the industry, falling between 2010 and 2016 by by 73 percent, from $1,000 per kilowatt-hour to $273. Bloomberg reported that it could drop to $69.5 per kilowatt-hour by 2025. Hopefully, Tesla’s continued efforts will spur rivals to join in the race and accelerate this even further.